The Title "Metaphysical Meditations Universal Prayers, Affirmations and Visualizations 8th Impression" is written by Paramahansa Yogananda. This book was published in the year 2007. The ISBN number 8189535129|9788189535124 is assigned to the Paperback version of this title. The book displayed here is a 8th Impression edition. This book has total of pp. 128 (Pages). The publisher of this title is Yogoda Satsanga Society of India. We have about 106 other great books from this publisher. 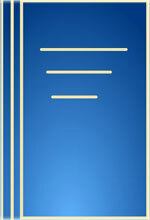 Metaphysical Meditations Universal Prayers, Affirmations and Visualizations 8th Impression is currently Available with us.